I decided to do more blog posts on local trips since I do not repeat them that often (for example, my last visit to Las Vegas was two years ago). Since we do something different/explore a different part each time, these posts will not disappoint! I hope you enjoy my recap of my Memorial Day Weekend trip to Las Vegas! We started our morning early to make the four-hour drive to Las Vegas. On the way, we stopped by the Seven Magic Mountains. They were so magnificent and it was so great to be able to walk around the structures to see the different perspectives. 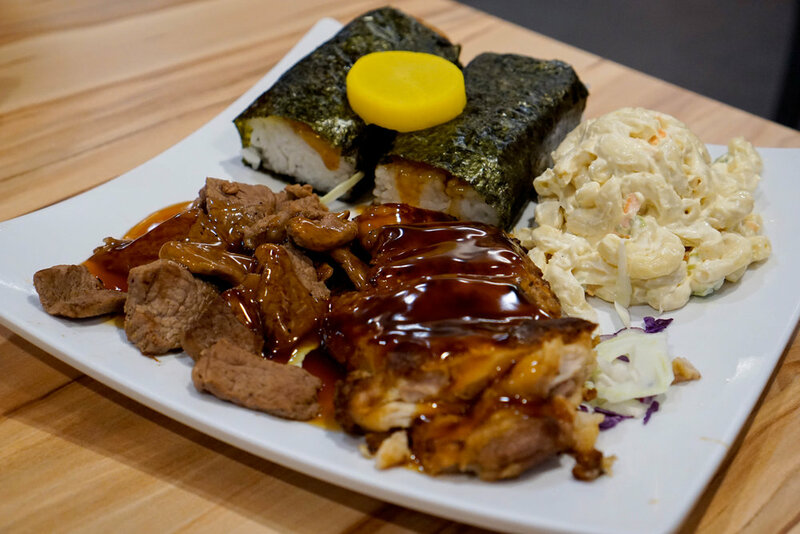 When we got to Las Vegas, we started north of the strip to shop at the outlets, eat some Hawaiian food at Aloha Specialties, and explore Chinatown. Our morning was quite productive! We started exploring the Las Vegas Strip in the afternoon. Many spots had been charging for parking but we found that Fashion Show and a few neighboring casinos at the north part of the Strip still had free parking. To save money, our game plan was to take advantage of the free parking structure on the first day so we could explore one half of the Strip, and then pay a one-time parking fee the next day at another part of the Strip to explore the other half of the Strip. After finishing up walking around at Fashion Show, we spent the rest of the day exploring the shopping areas and the architecture of the buildings. I have always admired how beautiful the buildings always were, and always must stop to take a picture! I could not resist taking interior photos either. The casinos/shops featured (above) include: Wynn, The Venetian, The Palazzo, Bellagio, Caesars Palace, The Cosmopolitan, and Aria. Not much had changed since my last visit except for the "Love" display at The Venetian and the changing displays at the Conservatory & Botanical Gardens at Bellagio. In the evening, we decided to try Momofuku and Milk Bar at The Cosmopolitan, which I had been so excited about since I heard so many good things about the two places ever since their origins in New York. We ordered the Pork Ramen and Spicy Sichuan Rice Cakes at Momofuku and finished our meal with a Cereal Milk Soft Serve at Milk Bar. We were so impressed with how amazing the quality was! The next morning, we headed to Wicked Spoon, a buffet which was also located at The Cosmopolitan. They had a large variety of foods well beyond the usual brunch items. I was most impressed with the fried chicken, bone marrow, and the pasta dishes. What made the meal complete was all of the pretty desserts and the gelato! We spent the rest of the day at the southern half of the strip. We stumbled onto Elena Bulatova Fine Art, which was a free art gallery portraying contemporary art (shown in the last two photos in this batch). It reminded me of the Museum of Ice Cream! We could not leave without visiting Everything Coca Cola, M&M’s World, and Hershey's Chocolate World. Visiting these stores had always been a tradition for us, so I did not care how touristy it made me look. We ended our day at The Grand Bazaar Shops, where we snacked on pizza from Giordano, which originated from Chicago! We also wanted to check out Honolulu Cookie Company, which used to be located at these shops, but we found that it had moved to The Linq Promenade, which was within walking distance. I loved checking out the always-changing shops there and the view of The High Roller. 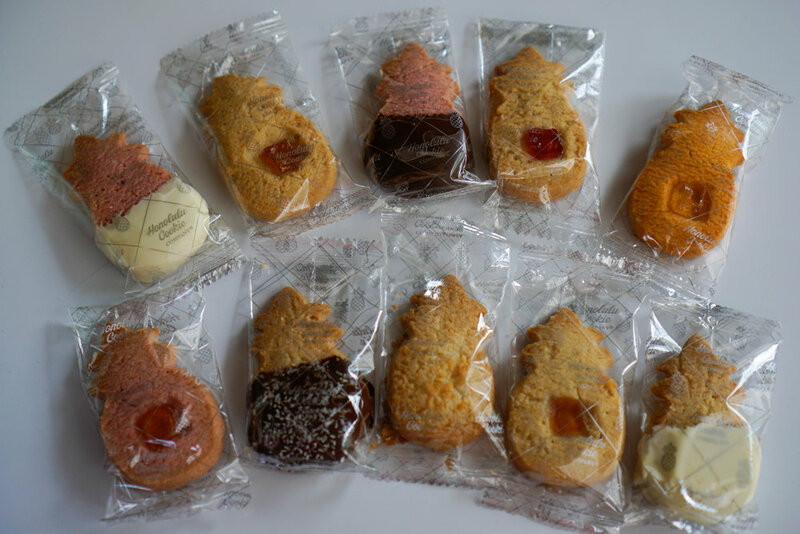 After purchasing some cookies from Honolulu Cookie Company, we had completed our trip! I hope you enjoyed this blog post of my short trip to Las Vegas during Memorial Day Weekend. It was very hot and crowded but I felt that there was always something interesting to see and do there! I was the most happy to find two east coast restaurants on the Las Vegas Strip!